Great gym myself and my 16 year old son loved using it! Lovely to go somewhere with something to do for the older kids (teenagers) fabulous just wish we’d had longer there! The Marriott is located a 5-10 minute walk outside of Swindon’s Old Town (good for bars and restaurants – check out Wood Street in particular) and a few minutes drive from the town centre. 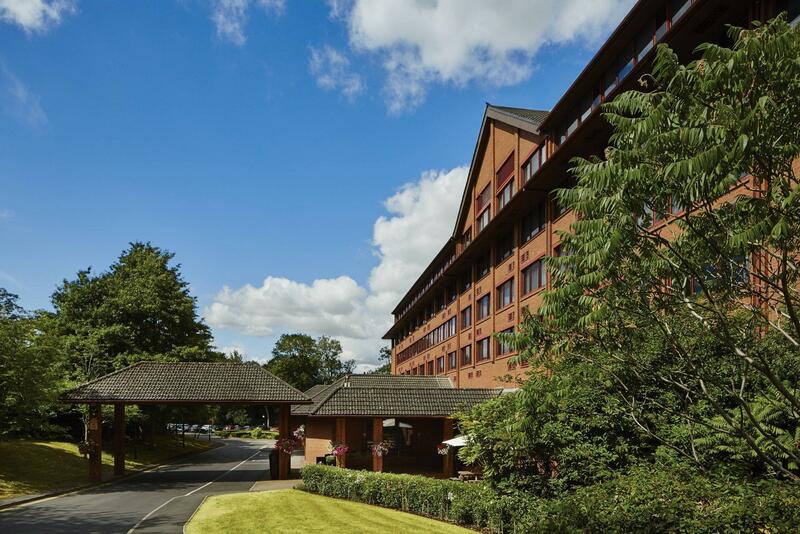 The hotel itself is situated in a quiet cul de sac and has plenty of free parking (just remember to register your vehicle details with reception). The hotel is a touch dated in places, but on the whole is clean and comfortable. The dining area and breakfast were very good. The staff were also very helpful and friendly. Also check out the gym / health club – access is free for guests and it is very well appointed. Enjoyed our stay at this hotel as although straight out of the 70's, we had a good size room which was clean, comfortable and warm.Checking in and out was effortless and reception staff courteous and efficient.the inclusive breakfast included hot food and generous in amount, with good service.Free parking close to the front door was a bonus.Suited our purpose for visiting family in Swindon.